There are several websites that are managed by the same group, but they are not all interrelated. This site is not part of the "Cute Embroidery" group that is included with the six-month membership. 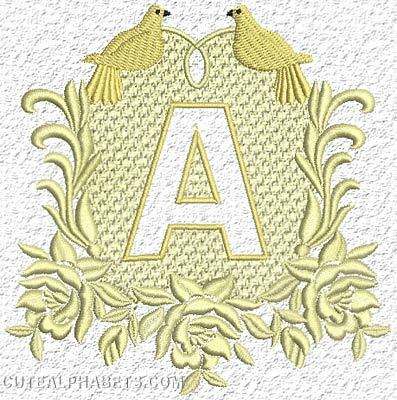 That is http://designs.cuteembroidery.com/ along with http://alphabets.cuteembroidery.com... for alphabets, http://applique.cuteembroidery.com/ for applique designs, http://crossstitch.cuteembroidery.c...< /a> for cross stitch designs, htt p://lace.cuteembroidery.com/ for lace designs, and http://redwork.cuteembroidery.com/ for red work designs while this one as well as Adorable Applique are independent and do not have a membership offer available. Likewise, there is the Amazing Designs site, which has its own six-month membership. <br /><br />If the site does not have "cuteembroidery" in the URL, the purchases are completely separate. There are a few cross-over sets that are available on two sites, but not all of them are. <br /><br />I hope that answers all the questions? If not, your best bet to get a response is to not post a comment but to contact EmbPersons (the management company) by clicking on the link at the bottom of the page. Why won't anyone answere my question & the comment below.i thought ALL designs were free,if you paid for membership. Beautiful for a wedding gift! Love this one. It's getting so I can hardly pick which one to use.